Any remaining Christians in the Methodist community must be starting to realize that they are the victims of a bait and switch. If Jesus was imperfect, if he was bigoted and unloving, there is very little reason to listen to what he had to say or to look to him for salvation. Frankly, that’s probably exactly what Oliveto is moving toward — a complete discarding of Jesus and the Bible altogether. You can only worship one god at a time. 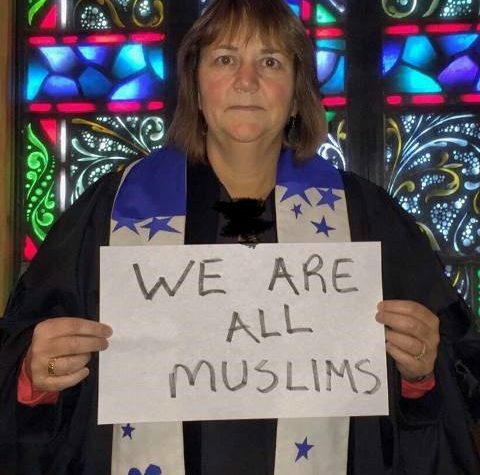 If the people in control of the United Methodist Church did not worship moonbattery, they would not allow blasphemous degenerates like Karen Oliveto to become bishops. The objective is to hollow out Christianity, leaving only the outer shell but replacing the insides with leftist ideology. This blasphemous, perverted moonbat is a bishop.